Australian Not for Profits should consider the formation of enterprise cooperatives as a viable alternative to the more difficult process of mergers, according to industry experts. 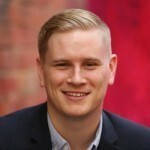 “With the Not for Profit sector being encouraged to consider mergers as an efficiency measure to supposedly reduce overlap and excess numbers, consideration needs to be given to a viable alternative to this difficult process – the formation of an ‘enterprise cooperative’,” Social Business Australia’s Alan Greig said. He said the most recent example of an “enterprise cooperative” could be seen in the community transport sector in Western Sydney – a cooperative start-up formed through the “mutualisation” of three existing Not for Profit community transport providers under the umbrella of the “Greater Western Sydney Community Transport Cooperative”. The project sponsor for the new co-operative, Dennis Hayward said that all three organisations were committed to the community owned model of service delivery for eligible community members. “Coming together to share some of the back and front office functions of the organisations is seen as a positive way to meet the changes in the sector such as the Commonwealth and State Governments’ reforms to aged care and disability services,” Hayward said. Alan Greig said Not for Profits and charities did not have to merge to enjoy the benefits of joined up working relationships and shared ownership and utilisation of assets and services. “Mergers amongst Not for Profits will have the downside of an even more concentrated and less innovative charity sector. Maintaining strong links to communities through shared ownership and participation structures builds civil society and social capital,” he said. The issue of Not for Profit mergers has gained greater momentum with the development of a consumer directed market especially around disability services. A recent report found that more than 30 per cent of Australia’s Not for Profit organisations have discussed mergers in the past year and many more were exploring and engaging in cross-sector collaboration. The Not for Profit Governance and Performance Study conducted the Australian Institute of Company Directors is described as one of the largest surveys of NFP governance in Australia. The CEO the Business Council of Co-operatives and Mutuals, the peak body for member owned organisations, Melina Morrison said there is increasing interest from particularly small to medium size Not for Profits who say they are presented with limited pathways for their future sustainability. “While it might not be easier to do an enterprise cooperative it is an alternative structure that all depends on what the Not for Profit is trying to achieve,” Morrison said. “If you want to retain organisational sovereignty and connection with your community and upscale capacity…and you want to share power and work collaboratively, then joining as a cooperative legal model might be something to think about. She said there is currently a paucity of information for Not for Profits about their options in this new consumer directed market. The BCCM’s submission to the current Senate Economics References Committee into Co-operative, Mutual and Member-owned firms said shared services co-operatives provide members with services designed specifically to meet their needs so that the members can remain autonomous enterprises. Shared services make up 4.9 per cent of the top 100 cooperative and Mutuals enterprises in Australia.